The most highly acclaimed Visual Novel Series is here! UPDATE: 2016.03.25 Muv-Luv Official English Website Launched! Discuss Muv-Luv and other âge games! We're almost there everyone, just a bit more until the physical rewards are sent! You can now download the patch (NSFW) using your private BackerKit link. Non-backers may purchase a copy on Denpasoft where it's on sale as well! Greetings Everyone! We've got quite a few updates to share, and we're sorry for taking quite some time since we were busy preparing for Comiket 91. Muv-Luv is now officially released on Steam! Muv-Luv is finally out on Steam! Anime Expo 2016 summary, and play Muv-Luv! Sharing more Luv, we're almost there! Hi Everyone, Before anything else, it's July 7 today! We'd like to greet our beloved main heroine, Sumika Kagami, a warm happy birthday! 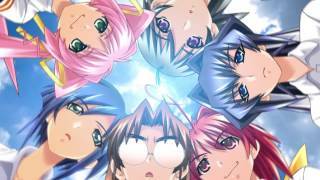 Muv-Luv started as a high school romance visual novel but quickly evolved into an epic science fiction saga featuring an alternate world, giant aliens, mecha robots, and a complex cast of characters. The Muv-Luv trilogy is divided into two games: Muv-Luv, which includes Muv-Luv Extra and Muv-Luv Unlimited, and Muv-Luv Alternative. Please click on the links below to know the full details of each game. 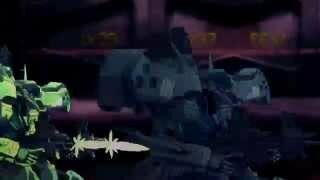 While the world of Muv-Luv Extra is peaceful, Muv-Luv Unlimited and Alternative share the same mysterious world in which an invading extraterrestrial force has brought humanity to the brink of extinction. 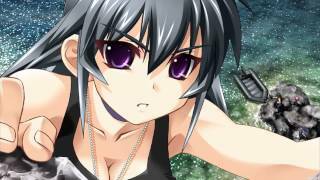 Muv-Luv’s rich setting is conveyed through a broad range of backgrounds, ranging from everyday settings such as houses, cities, parks, and schools to evocative sci-fi locales, including military facilities, battlefields, and alien hives. A carefree senior at Hakuryo Hiiragi Academy. While he may not be the smartest or the most athletic guy in school, he’s still well-liked by his classmates. Competitive and cocky, but totally clueless when it comes to women. Totally addicted to the 3D robot arcade fighting game “Valgern-On,” which he and his best friend Mikoto play almost every day after school. Our protagonist’s cheery and klutzy childhood friend. Perpetually positive and optimistic, she’s a firm believer in team spirit. She does, however, have a tendency to be very possessive when it comes to Takeru. She’s always kept her feelings for him to herself, but when Meiya makes her way into their lives, she becomes determined to be more than just his childhood friend. Heir to an international conglomerate, she turns Takeru’s world upside down when she forces her way into his home uninvited. Headstrong and overbearing, but more out of naivety than arrogance. She’s lived an extremely sheltered life, and frequently astounds her peers with her sheer lack of common sense. For whatever reason, she seems hell-bent on pursuing Takeru, and makes no attempt to hide it. An innocent and friendly cat-like girl who just wants everyone to get along. Takeru tends to treat her almost like a pet, but she doesn’t seem to mind all that much. She’s a very gifted member of the archery club, but suffers from severe stage fright whenever anyone’s watching her. The uptight, bossy student representative from Third Year Class B. An honor student accomplished in both academics and athletics, she has a tendency to try and do everything herself. She has a low tolerance for apathetic rule-breakers, which lands her in verbal cage-matches with Takeru and Kei on an almost daily basis. A taciturn, mysterious girl from Class B.
Quick-witted and agile, she’s a loner who almost never relies on others. Currently locked in a cold war with the class’ student representative on account of her anti-establishment behavior. Always has at least one of the cafeteria’s fabled yakisoba sandwiches on hand at any given moment. The Imperial Army variant of the F-4 Phantom, the first Tactical Surface Fighter ever to be deployed. Known for its excellent functionality and reliability. Although it’s a first generation machine, the Imperial Army’s fleet of F-4Js has been consistently upgraded and refurbished to meet modern standards. They continue to serve as a mainstay in the war against the BETA. The Imperial Navy variant of the A-6 Intruder developed for use by the US Marine Corps. Deployed from submarines, they're used to establish a bridgehead and secure a landing point for other units. A heavily-armored amphibious assault TSF, bristling with fixed weaponry. A Third Generation TSF that has been the backbone of the Imperial Army since its debut in 1994. Developed using data from the Type-89/F-15J, the Shiranui is highly-regarded for its outstanding mobility. Deployed by only one squadron at the UN Forces Yokohama Base. A mass production advanced training unit that originally served as a test unit for the development of the Imperial Army’s Third Generation TSFs. It is fully capable of fighting in real combat situations when equipped with actual weaponry. A TSF designed and built entirely in Japan and used exclusively by the Shogunate Royal Guard. Developed as the successor to the main unit of the Royal Guard, the Type-82 Zuikaku. The purple Takemikazuchi which is introduced during the course of the story is a “Special Unit” prepared for Meiya’s personal use. Known as the strongest Second Generation TSF, the F-15 was developed by the US Armed Forces to serve as the successor to the F-4. Presently, the F-15 forms the backbone of the US Army's TSF Force, and is also deployed by many other countries. Tokyo Otaku Mode figmas, PVCs and TSFs from the Muv-Luv trilogy! Tokyo Otaku Mode figmas, PVCs and TSFs from the Muv-Luv Alternative spin off, "Muv-Luv Alternative : Total Eclipse"! Tokyo Otaku Mode figmas, PVCs and TSFs from the Muv-Luv Alternative Germany spin off, "Schwarzesmarken"! The official Japanese online store of âge-soft. Get the newest goods here! Buy Kotobukiya Muv-Luv TSF kits, figurines and more! Dex, Where do I Start with Muv-Luv? Get the latest updates for Muv-Luv! Copyright © 2016 ixtl. All rights reserved.